“Within The Prophecy”, a cult record, filling the gap between Crust, Thrash and early Death Metal Sacrilege’s second full-length deserves definitively more affection and attention. As far as we can see, “Within The Prophecy” is one of the few albums that possesses really unique features. 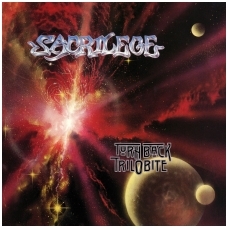 By the time this full-length was released, Sacrilege had parted with much of their Crust Punk influence, replacing it with doom metal aspects while not ditching the overall Thrash metal base. That rusty, filthy and massive guitar sound is still there, which acclimates itself quite well to the album’s slower plodding sections, and there’s still some moments when the rhythms kick into high-speed gear, but for the most part this is a mid-tempo affair full of drive with that fat rhythm guitar overwhelming the drums on occasion to the point where the music resonates as slower than it actually is, simply unique. 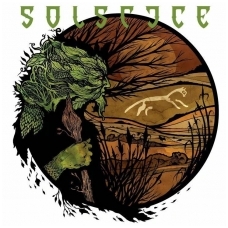 Beautiful digipack CD, fully remastered and 5 bonus tracks for CD only.